Adventure and fun await you in Sprill, a new arcade game set in the deepest waters of the bluest seas! 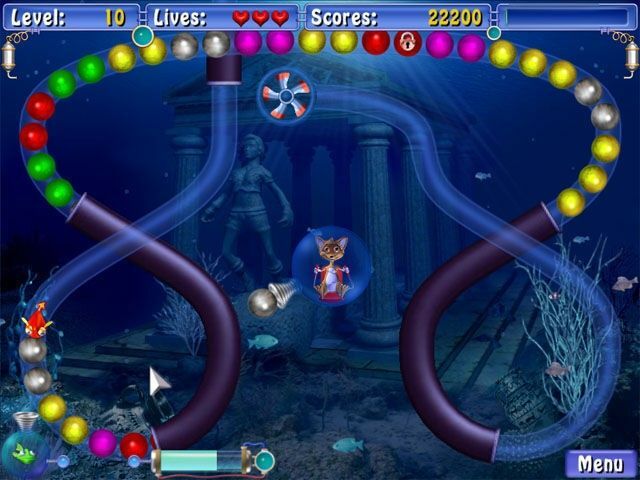 Match colored marbles as they roll through underwater tubes and earn powerful upgrades that will dazzle your eyes! 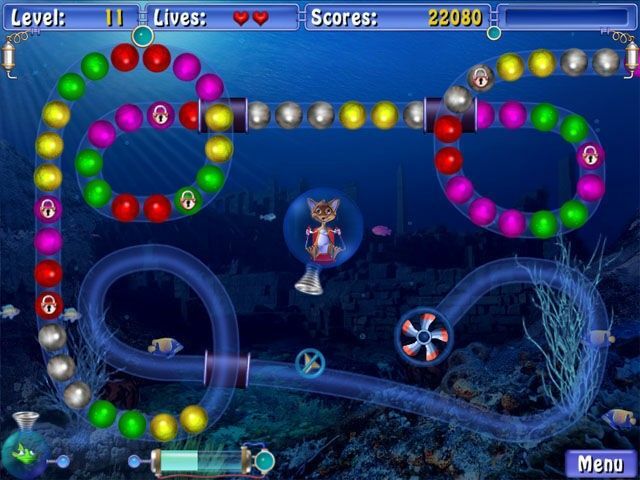 Strap into your mini-sub and plunge into the deepest waters of the bluest seas, where you'll help a charming hero named Sprill eliminate long chains of colored marbles. As the advancing strings roll through breathtaking tropical oceans, you'll be challenged to create matches of three or more marbles of the same color. But unlike similar games, your cannon first removes a marble from a rolling chain, then fires it where you aim, giving you the freedom to choose which colors you'll launch. 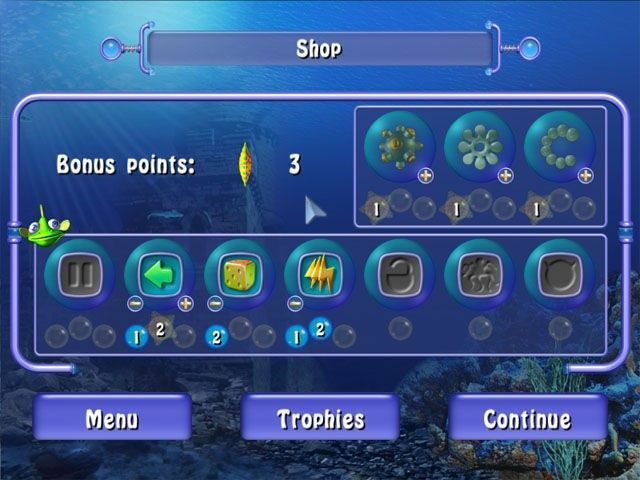 To take out even more marbles, you can use your assistant, a cute tropical fish with special powers you can upgrade. Your jaw will drop when you see him summon a level three lightning strike! In addition, bonus items appear at random, including one that can morph several marbles into the color of your choice. Add spectacular graphics to the addictive gameplay, and it's no wonder Sprill: Aqua Adventures is creating a splash among casual game fans everywhere!